Last week was Christmas jumper day at my kids' school and I tried to be organised this year and get the boys proper Christmas jumpers. 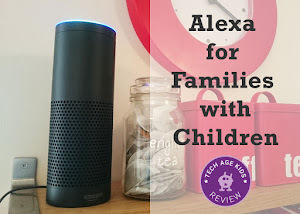 I found a great one with flashing lights and a tune for my 9-year old but my youngest doesn't like the feeling of knitted fabric. 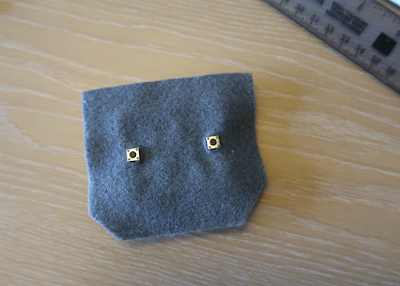 I couldn't find anything that he liked or would be happy to wear. 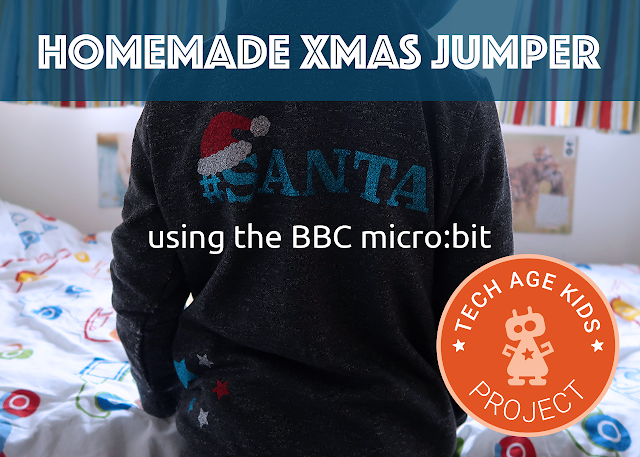 We decided we'll have a go at making a homemade Christmas jumper using some of our maker tools. 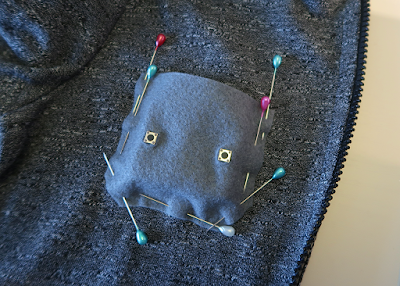 In this post, we'll share how we made our jumper and maybe you can have a go at creating one too! My son likes hooded zipped jumpers. I found a plain grey one from our local superstore. I bought sheets of iron-on vinyl in a variety of colours. We used our Silhouette Cameo 3 craft cutter to cut out the designs from the vinyl. My son also wanted a jumper that could flash and play a tune. We've recently been working lots with the micro:bit so felt confident to have a go at coding something with it for his jumper. The Mi:Power board provides the power and a buzzer for the sound in one compact unit. 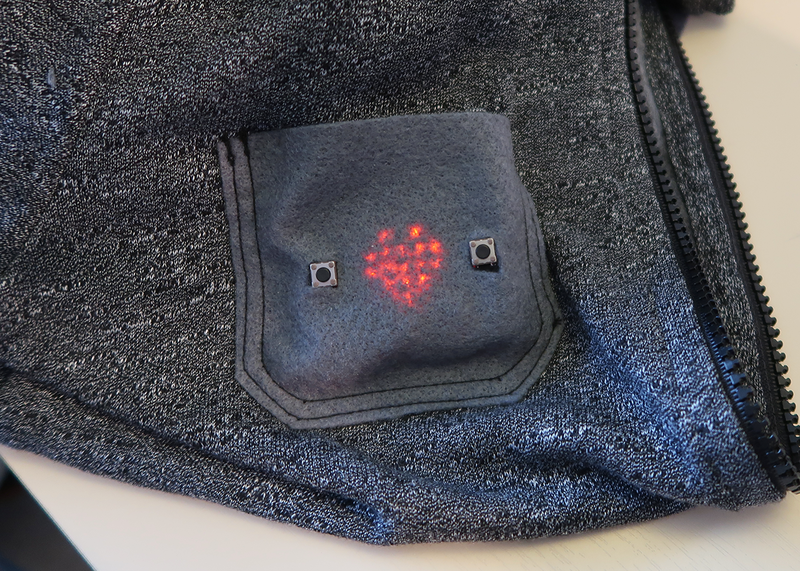 We used some felt to cut a pocket to house the micro:bit on the jumper. 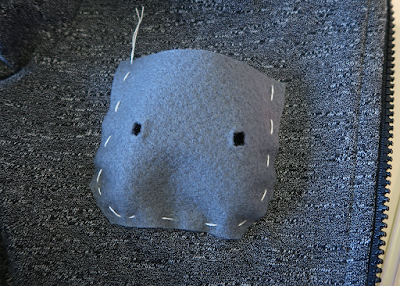 I used my sewing machine to sew the pocket to the jumper, but you could easily do it by hand-stitching too. My son and I spent an evening designing his jumper. He decided he wanted the word "#SANTA" on the back with a santa hat on the "S". He wanted stars of different sizes on one side of the front that wrapped around to the back. 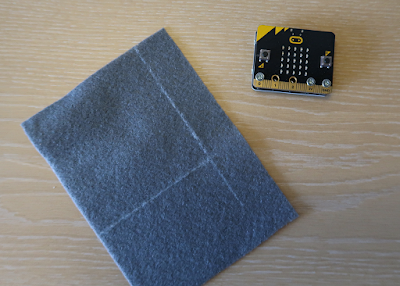 The pocket for the micro:bit needed to be added to the other side on the front. 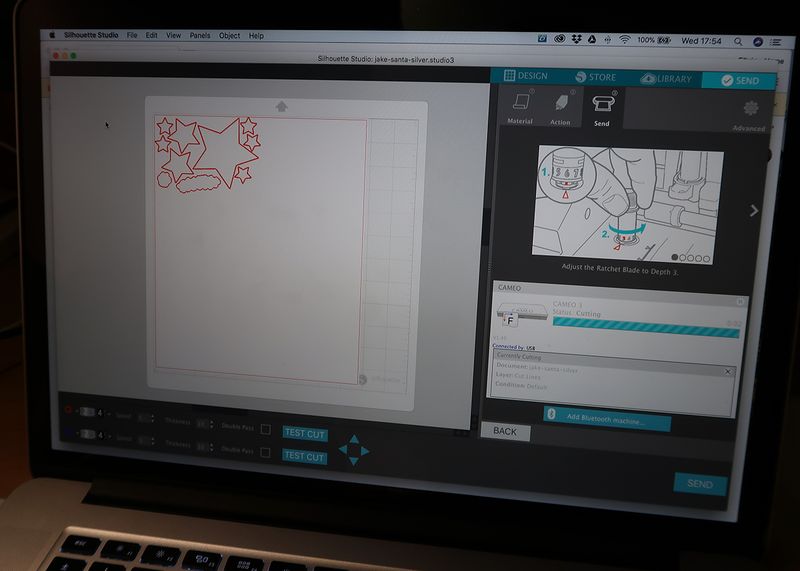 The Silhouette Cameo comes with basic software, which we used to create the shapes and word to cut with the craft cutter. Thankfully we remembered that we need to flip everything mirror image before cutting! We used three different colours, so carefully positioned the shapes for each colour on our design to reduce wastage of the vinyl. 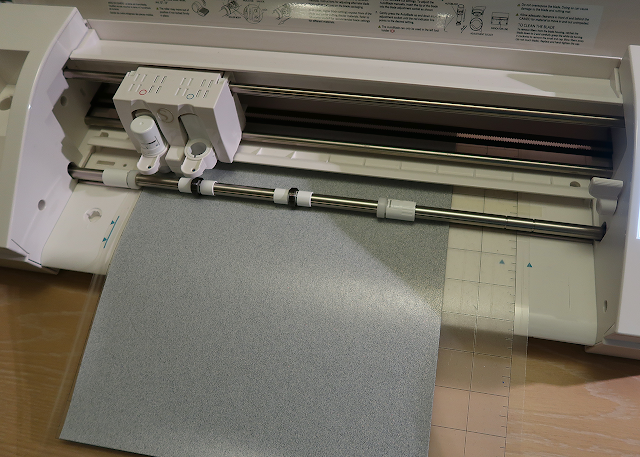 Once you're ready, add the vinyl sheet to the cutting mat and send the design to the cutter. The Silhoutte Cameo 3 works out the required depth of the blade automatically, which made the whole process much more simple and fast. 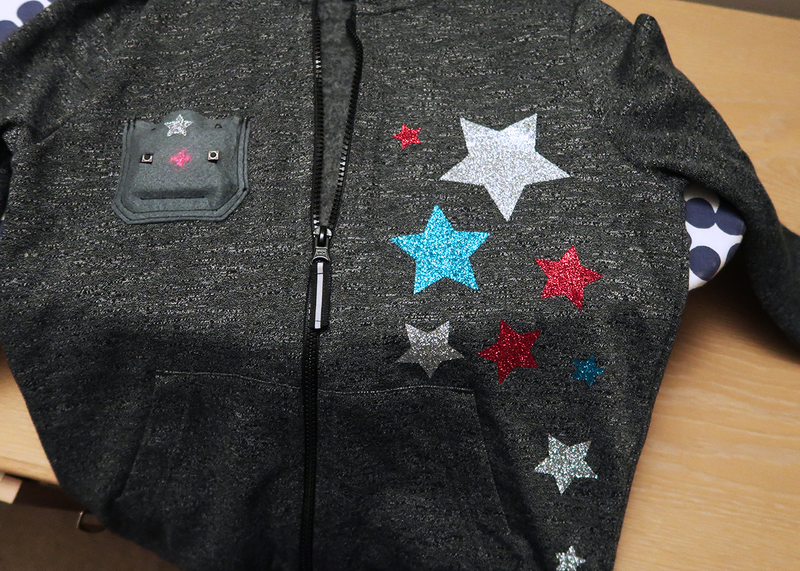 After cutting all three colours we positioned our sparkly vinyl pieces on the jumper and ironed it on! So simple. My 9-year old has a Christmas Carol piano sheet music book which we used to find the music for "Jingle Bells". 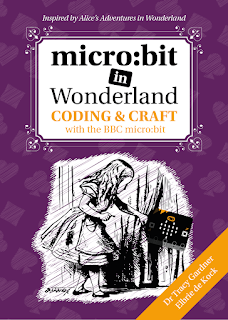 He actually helped us to code the music using the MakeCode block editor for the micro:bit. 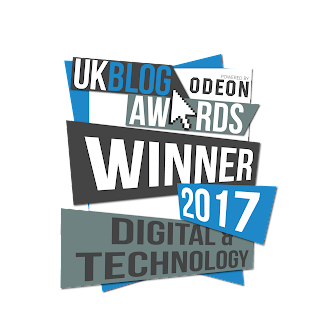 My youngest then created the animation for the flashing star. He wanted the music to start playing when he pressed button A and wanted the flashing to be on all the time! 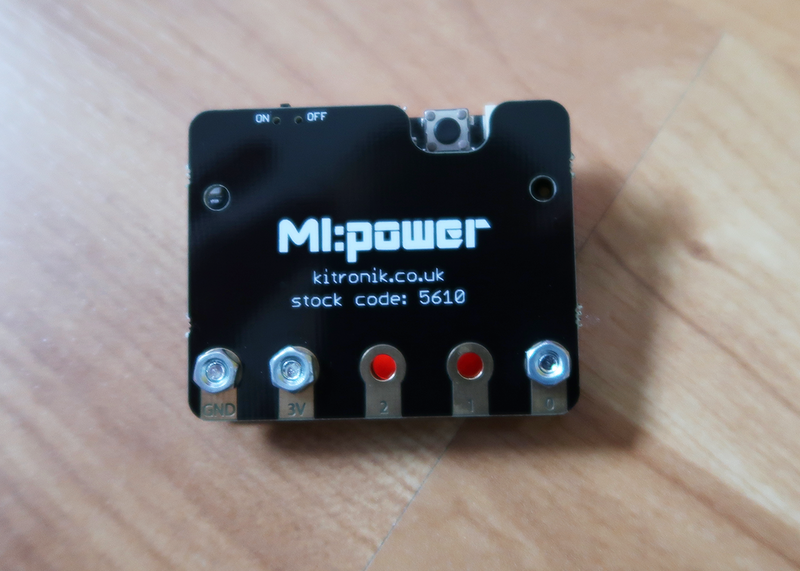 We attached a Mi:Power board (available from Kitronik) to power our micro:bit. The board also has a built-in buzzer which played the tune we programmed. 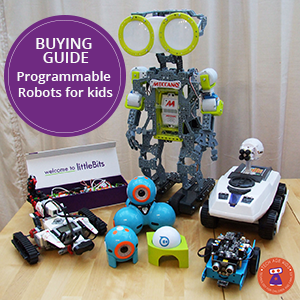 The Mi:Power board uses a coin cell battery and has a power switch. My son had the micro:bit on all day at school and it's still going strong. 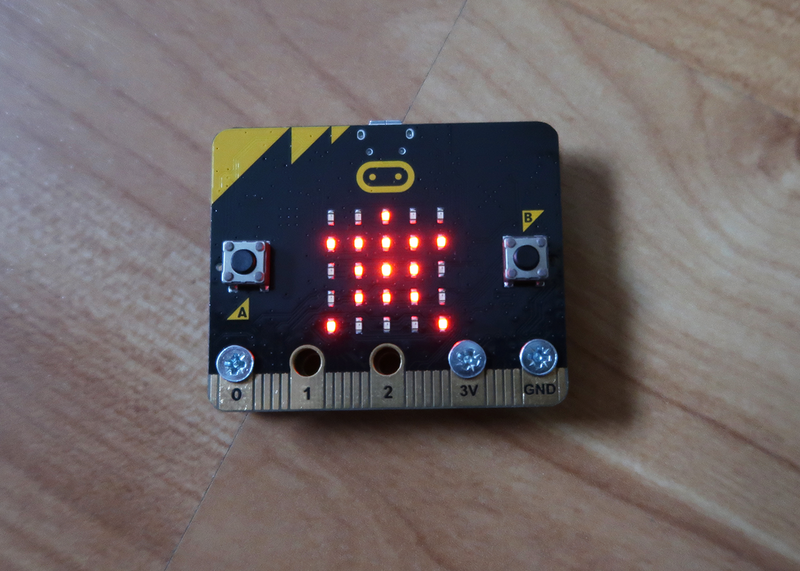 I helped to make the pocket for the micro:bit. I cut a pocket shape out of the felt and then cut holes for the micro:bit buttons. We decided not to cut a hole for the LED display, as the lights shone nicely through the felt. 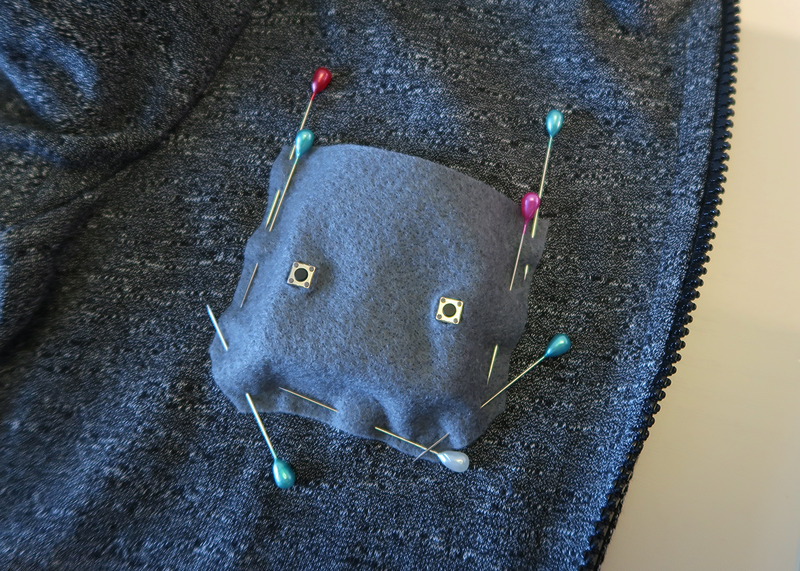 I pinned the felt to the jumper, with the micro:bit inside to ensure a snug fit. I added a couple snap fasteners in the opening to make sure the micro:bit doesn't fall out of the pocket when my son wears it at school. 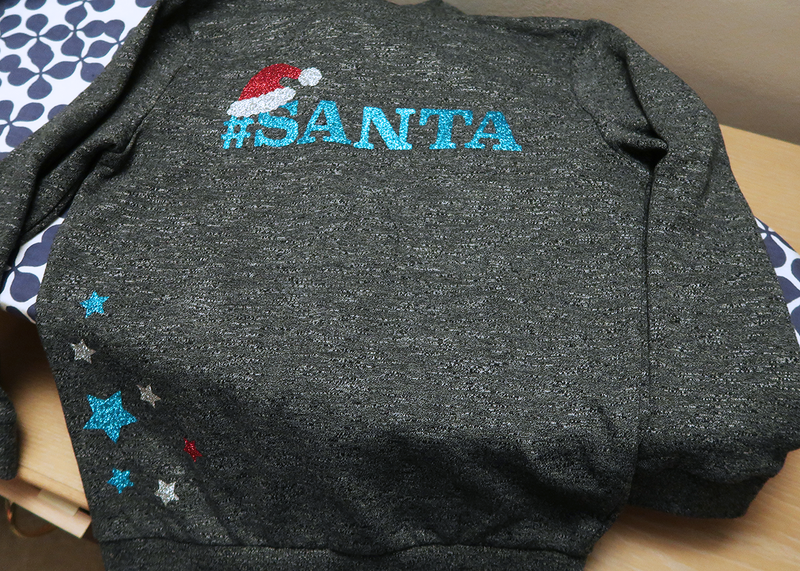 It was a brilliant experience making this jumper with my son. 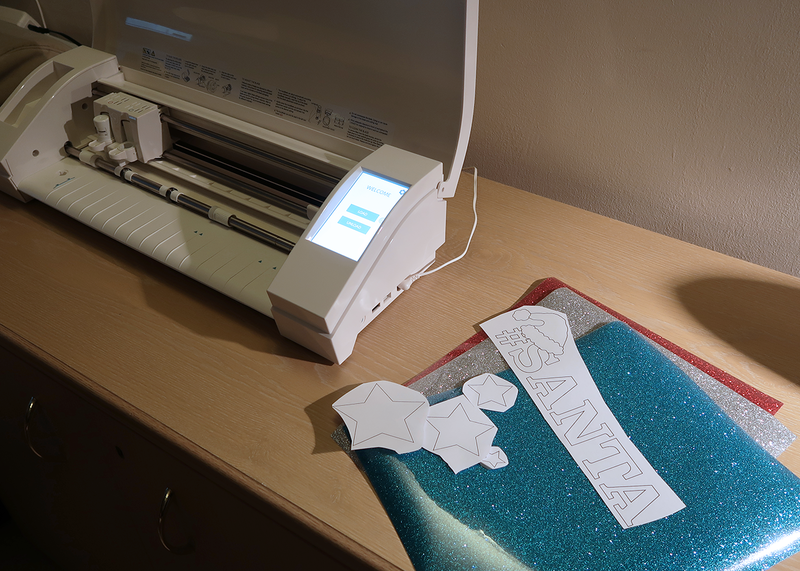 We learnt lots of new skills and now definitely keen to make more of our own personalised jumpers and T-Shirts using the iron-on vinyl and the craft cutter. It was great to add tech to the jumper using skills we've recently learnt. My son was really proud to wear something he had made himself. 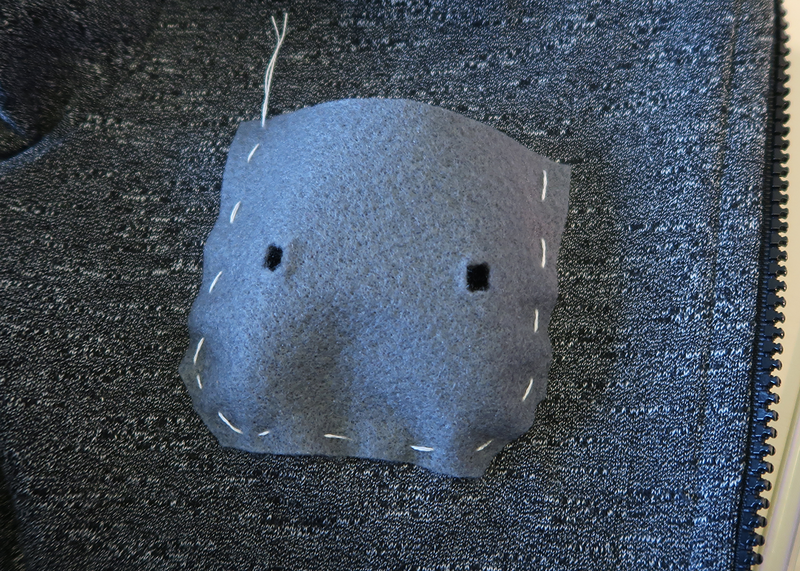 I think next time, I'll make the pocket out of cotton material, as the felt doesn't look like it will last as long as the rest of the jumper.